It has been a little while since I had the time to sit down and actually gather my thoughts long enough to write something on my blog. It is nice to be able to put some thoughts down on paper (or computer if you will). Something I have been wanting to do for the past couple of months is write a post about something I really enjoy doing. I have stated in the past that I have always enjoyed photographing sunsets. Sitting there watching the sun leave the horizon puts thoughts at ease if only for a moment. Listening to nature, the rustling of leaves, the wind whistling through branches of the leafless trees, birds chirping, provides a calming effect. One way I make the experience more enjoyable is a technique of using filters to increase the exposure time of your shot. 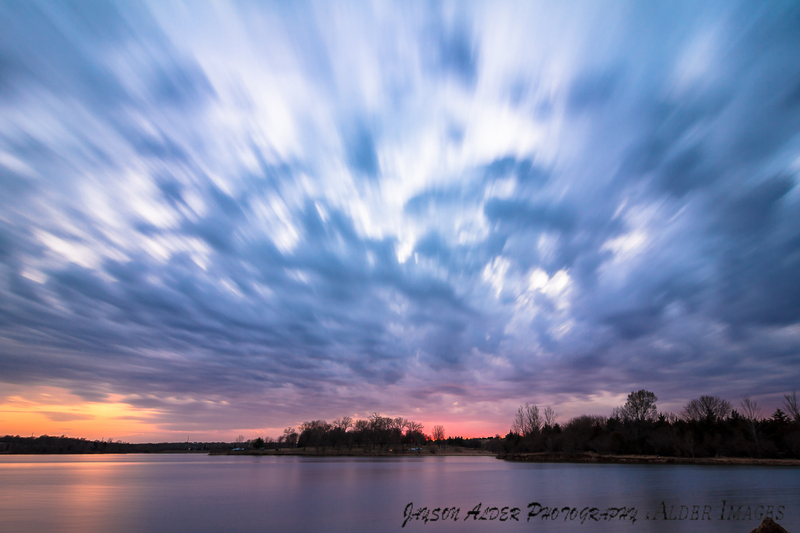 This way you capture all of the movements associated with the setting sun and clouds as they pass. Having said that, I usually only come back with a handful of images due to the length of time it takes to capture the photo, but the quiet of sitting and listening is worth it. I don't know how many of you are old enough or have caught reruns of a show on PBS I use to watch called "The Joy of Painting with Bob Ross". When I was growing up I use to watch it just before I took a nap and being out during a sunset reminds me of that show. So quite and peaceful. Yet, when the day is done you have something beautiful. 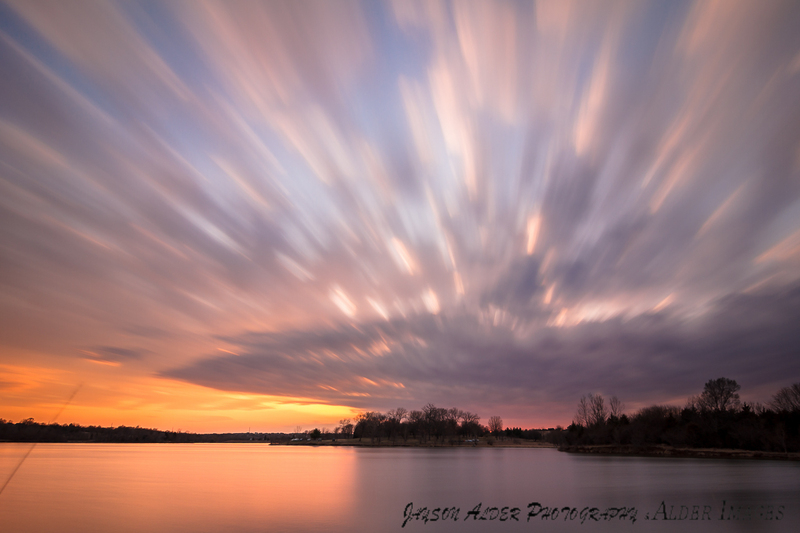 This is why I call my long exposure sunsets, "Filter Painting". Once I am home and have viewed what I captured that day, I then begin the fun part of the picture taking experience, Post Processing. Most people do not like this portion of the picture taking experience, but I really enjoy it. In fact, I see many photographers skip this portion all together. I shoot all of my photos in RAW format. This means that the file you have contains all of the RAW data from the photo and you can use it as you will. If you shoot JPEG format, the camera cooks the image for you in the cameras processor and spits out what it thinks your photo should look like. I like the control I have over my images in RAW. This way, I can make the photo how I saw it when I was there not the way a computer decided it should look. I usually take 20 minutes a photo when adjusting landscapes. You really have to pay attention to the details of the photo. If you happen to over look something, blowing it up on print will bring out your mistakes and landscapes more than not are going to be printed large. Enough talk for the day, here are a couple of my recent Filter Paintings.